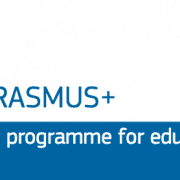 The old programmes Comenius and Grundtvig have gone and now EU funding for in-service teacher training is provided through an EU programme called Erasmus+. 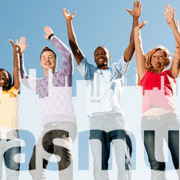 The EU Erasmus+ programme is intended to support activities in a variety of fields including education, training, youth and sport in all sectors of lifelong learning (Higher Education, Further Education, adult education, schools, youth activities etc). There is now much more money available for training teachers (and TAs, and other school support staff) and you should make your head of school and colleagues aware of this opportunity. The grants cover all elements of the courses; training input, accommodation, subsistence and travel, so if you make a successful application there is no cost to the school or individual member of staff. We are already working with schools that have received significant grants from Erasmus+ for their teachers to study French. It is good for your school – and for you! Erasmus+ is available to a wide range of organisations across all sectors of education and training in the EU member and EFTA states (Iceland, Liechtenstein, Norway and Switzerland). Any public or private organisation actively involved in these areas can now apply for funding. That means if you are a teacher in a private, local authority or academy school – as long as your school applies, you can benefit! Applications are made through the ‘Erasmus + Key Action 1 for schools’ programme. Applications are no longer for single courses for single members of staff. Applications are done through your school, and one application can cover multiple courses [for the same member(s) of teaching staff or for a range of individuals]. You need to speak to your school / institution NOW to ask if they will support a funding application for your school! As the application is made in your school’s name it is vital that you make sure that your school is prepared to support your application before you go any further. 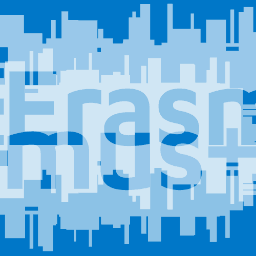 Read the Erasmus+ information at the links we have given you below and arrange a meeting with the person responsible in your school, university, college or organisation – we recommend you arrange this now! As part of your application your school / organisation will need to submit a European Development plan for one or two years, in line with the EU 2020 Education, Training, Youth and Sport Proposal. You request a number of ‘mobilities’ (grants) for staff to attend training courses at French in Normndy. We can advise on suitable plans. Your school will need to register with the European Commission’s Participant Portal and get a PIC number here. When your funding is awarded, you and your school can then choose which French in Normandy course you would like to participate in. French in Normandy are listed in the ERASMUS+ School Educaton Gateway Catalogue. You can choose our French in Normandy Teacher Training Course. Forms are available on the Erasmus+ web site. To help you prepare, you can look at examples of them here. French in Normandy’s official English speaking Erasmus+ partner is Sheelagh Connolly. You can call her on: +44 7933 796 931 or you can contact her by email at claro(at)live.co.uk. A step-by-step application guide for organisations is available on the Erasmus+ website – Click here. Find the National Agency in your country here.